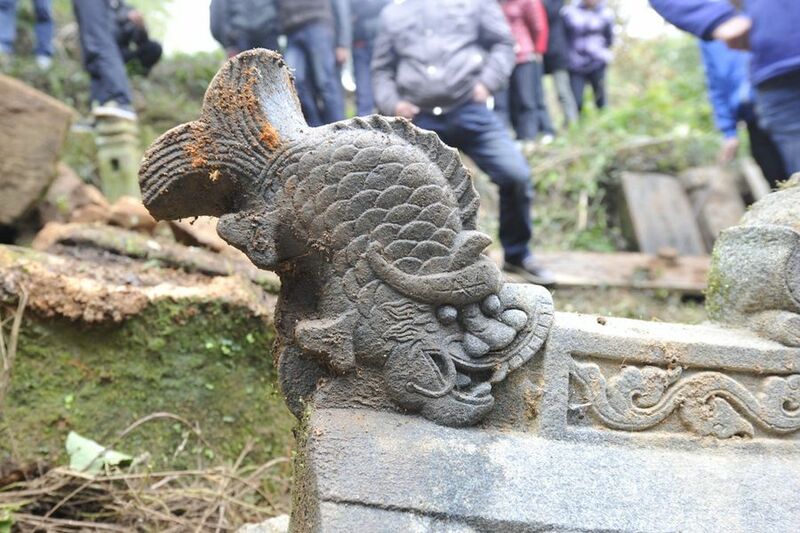 March 17th, Fujian province Ningde city, local residents while hiking discovered an ancient body wearing dynastic clothing embroidered with what appears to be dragons and called the police. 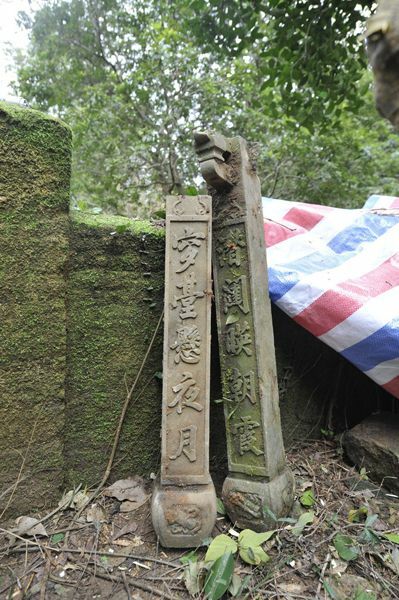 Investigations revealed that it was related to the grave robbing of a government official who had served the Qing Emperor Guangxu (1882 AD) in his 8th year, and the body had been casually cast aside by the grave robber. 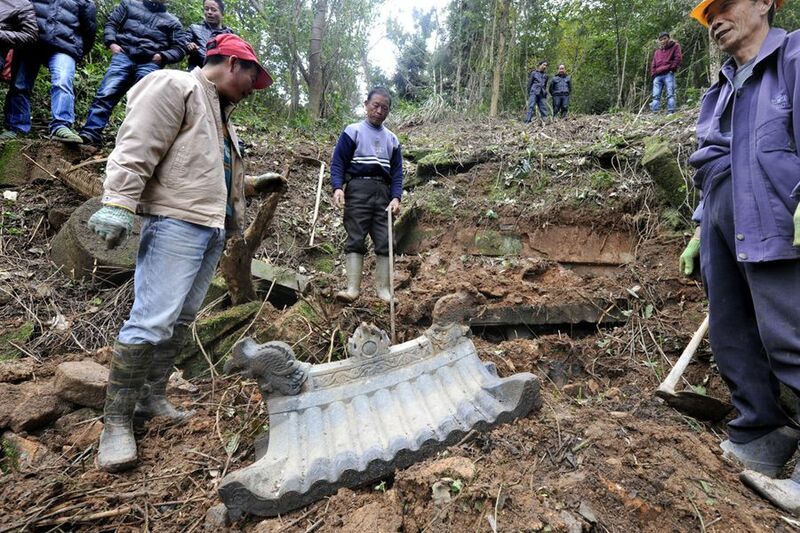 According to reports, this is the highest ranking and most well preserved mummified body of a Qing era government official discovered locally. 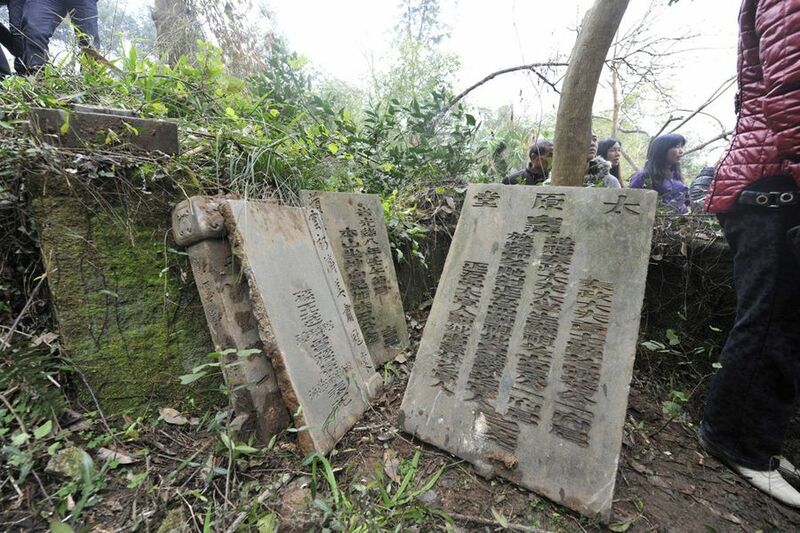 [Above] March 19th, Fujiang Ningde Xiapu county, the little pavilion of the old tomb that was robbed. This 1882-built construct is one of 4 “Phoenix” tomb rooms, which presently have all been robbed. 130 years ago, tombs were divided into 4 rooms, a household tomb, where two couples were interred. In the tomb there are still several coffins. Ningde local residents say the body next to the robbed tomb is male, very clearly wearing many layers of clothing, and with his hair still braided into a queue. 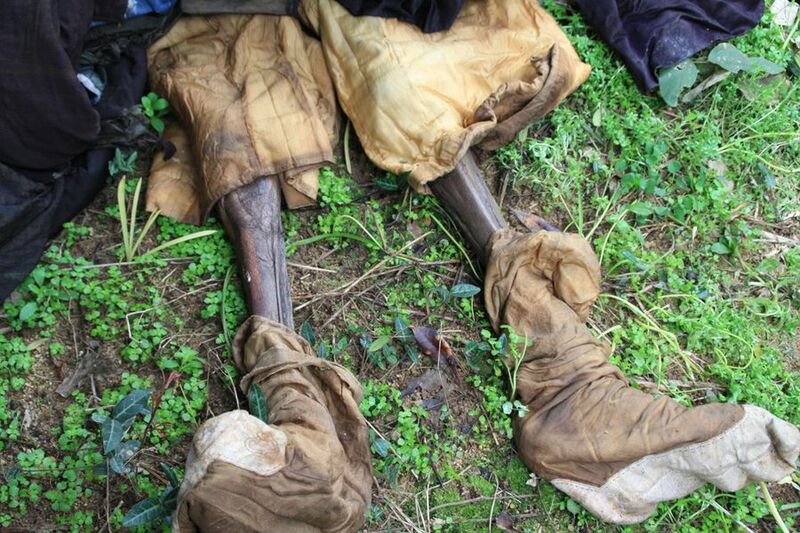 A Mr. Yan said the odor around the mummified body was unbearable, the body having already emitting a foul smell. The tombstones. According to reports, in the 50s of the previous century, this tomb was already robbed once, but wasn’t as severely damaged as this instance. The original couplets that surrounded the tomb doorway. 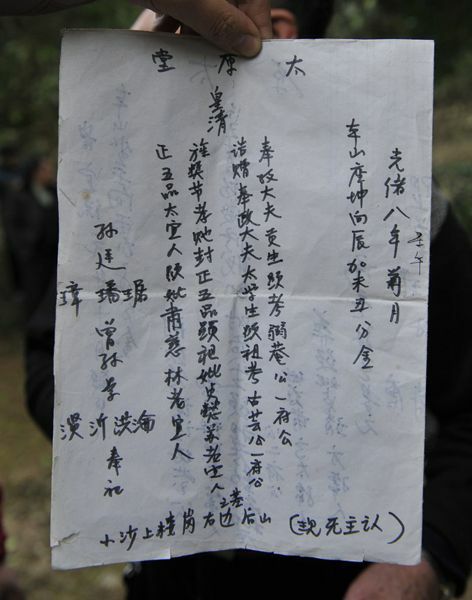 The tablet inscription copied down on paper. A stone engraving/sculpture on the little pavilion. The mummy pulled out of the ancient tomb. According to reports, only half of the front of the official robes remain so the decorative design cannot be seen, but on the back of the official robes are 3 dragons embroidered with gold colored thread. On the whole, the clothing is relatively well preserved, with the innermost layer being yellow cotton underwear, the outside navy blue cotton clothes, and the outermost layer being silk official robes. 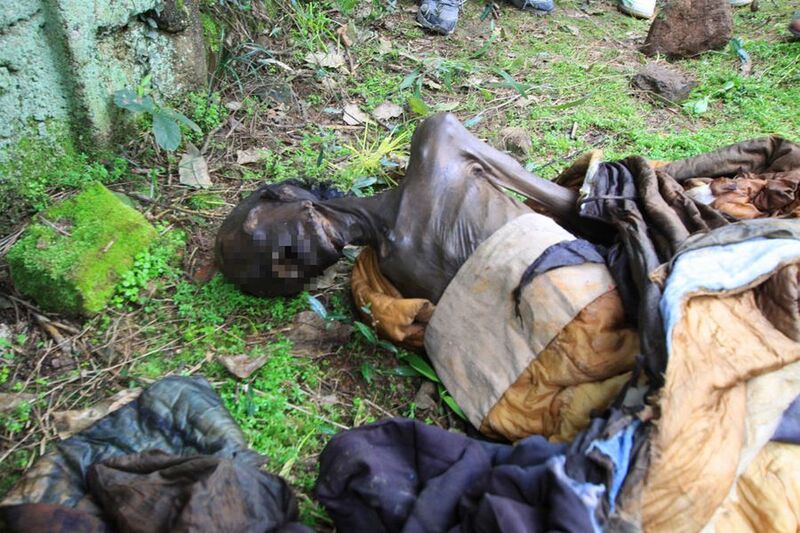 The mummified body that was dragged out. Yesterday I was watching CCTV 13 news and the anchor broadcasted a piece of news: American citizens are miserable amidst high gasoline prices, the report saying high gasoline prices have severely affected the lives of Americans, which has become an obstacle for Obama’s hopes of a second presidency. In the end, the anchorwoman announced that the price of gasoline is 3.8 USD per gallon. This report made me foggy with confusion, thinking this anchor is too stupid, why not just convert it into how much RMB per liter, because how many of us ordinary common people know gallons. With this in mind, I went online today to check and want to share with netizens the result of my conversion. One American gallon = 3.785411784 liters. Yesterday’s USD to RMB exchange rate was 1 USD to 6.3355 RMB. One gallon of gasoline at 3.8 USD converted into RMB per liter is 6.3606 yuan RMB. Right now I trust netizens all are very clear on what the price of 93 octane gasoline in China is, the lowest at least 8.07 yuan RMB per liter, and various media these past few days have again been making noise about how gasoline prices are once again being increased. I don’t know who should be ashamed from this piece of news. Of course it is the Americans who should be ashamed, and the reason you already know, because Obama has shame, whereas we’re shameless. Why were the comments for this closed?! Actually, doing this is in consideration for the leadership, as the leadership are afraid of being infected. It’s obvious, female civil servants are prepared for the leaders, so they have to be without disease, because the LD are afraid of being infected with sexually transmitted diseases, because the LD have to be pampered. 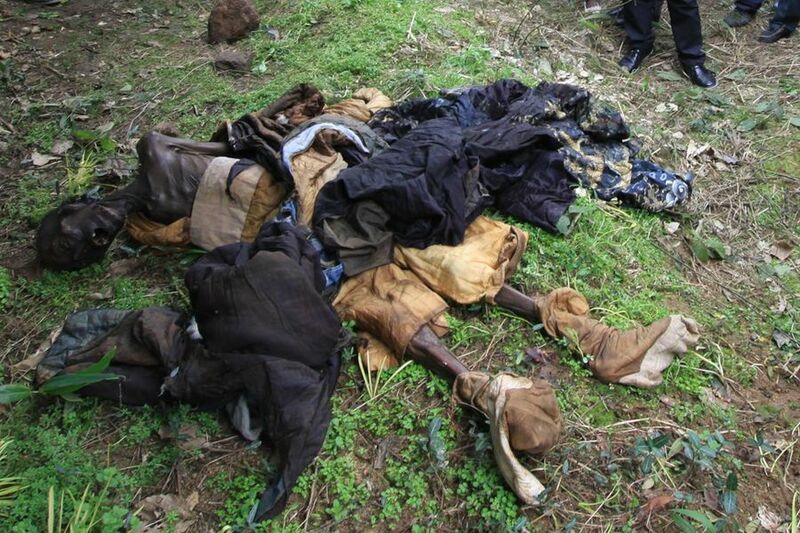 Looks like the clothes of living people, a withered body, hundred year old tomb. No one at any time should ever dig up another person’s tomb. The grave robber committed a sin, and must suffer retribution. [That others will one day get their] Retribution is just the fantasy of the weak. Where are the descendents? Grave robbing is no better than killing one’s own father! Looks like there’s not much of a good fate for government officials. Hope this will also happen to the government officials of the Heavenly Kingdom in the future. Those who excavate ancestral tombs ought to die a horrible death. 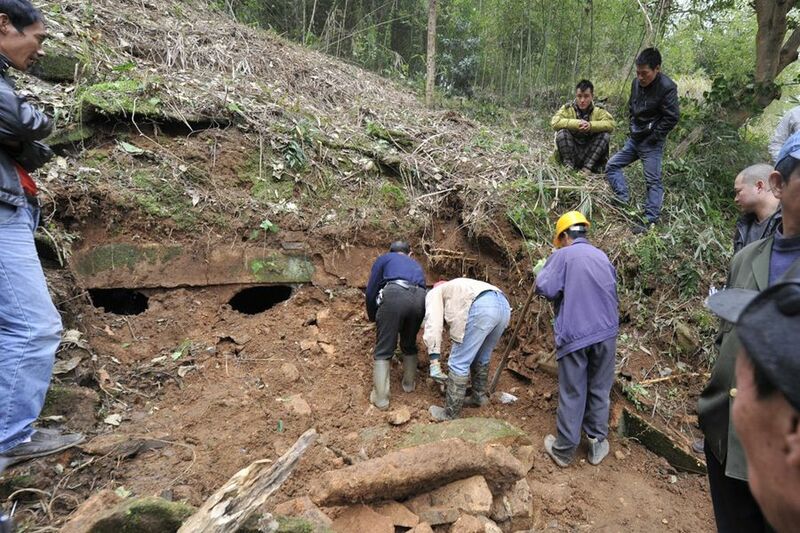 He [the grave robber] doesn’t know that this just might be his own family’s ancestral tomb. 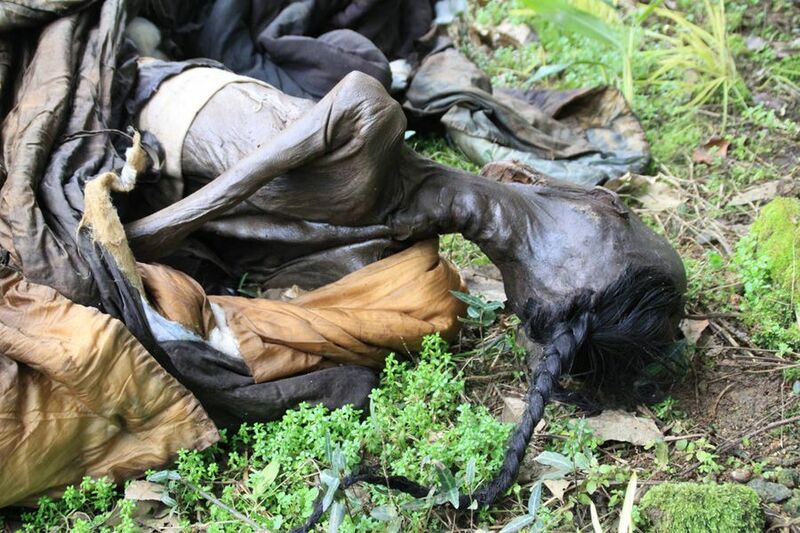 And its shoulder is exposed…the grave-robber…just what exactly did you do to this official…? Everything in service of the renminbi.